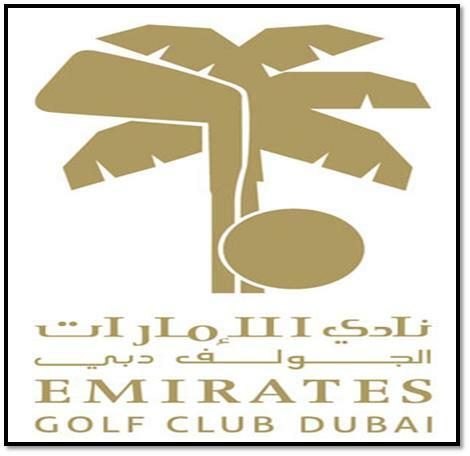 Emirates Golf Club started its operation in 1988 and is considered as the best clubhouse in Dubai. It consists of two 18-hole par 72 championship courses, which are sculpted out of the desert. This golf club has been ranked in “Top 100 Golf Courses of the World” by internationally recognised golf magazine, Golf World. Emirates Golf Club is the only club in the region that welcomes night golf. They offer a wide range of courses and facilities to golfers to up-lift their game. Apart from that, there are many leisure activities for the visitors to relish enjoyable moments at this club. You can experience the fine dining experience at Le Classique, which is the award-wining French restaurant in the city. There is a Spike Bar located inside the club, where visitors can go for a friendly and relaxed atmosphere. Besides that, swimming classes (six months) are also organised to infants through to the beginner adult. Moreover, fitness classes are held under the supervision of highly qualified instructors. Enjoy top class facilities at the gym. You and your friends or family members will have a great time as they workout and exercise on some high tech fitness equipment. Take advantage of the excellent tennis courts at the Emirates Golf Club. If you are a beginner or more experienced when it comes to tennis then the club has just the right facilities for you. Enjoy some relaxation at the brand new spa. You will have a great time as you unwind from a week of hard work. Give yourself a treat and take some time out to enjoy the brand new spa facilities. Enjoy world class dining facilities with a great ambiance at the Emirates Golf Club. You will have a wonderful dining experience with many different types of cuisine prepared by world class chefs using only the finest ingredients. You and your friends or family members will have a memorable dining experience as you enjoy the dining facilities. Take a dip in the professional top notch pool facilities available. Cool down on a nice hot summer day as relax in the pool. Meet with friends and enjoy a drink or two at the bar. You will definitely find many people to chat with as you order some fine drinks from the bar. If you enjoy playing squash then take advantage of the high class quality squash facilities. Get some fitness and lifestyle advice by professionals at the Bespoke Wellness Centre. Take advantage of the many different membership offers and the different benefits they can provide you. If you have a corporate gathering to organise then this is definitely the place. You will find world class facilities that you can use to organise any type of event. Enjoy the professional golf academy if you are looking to get started in golf or just want some tips and tricks used by the pros. You can also enjoy a game of paddle-tennis to get a decent workout with some friends. If you feel that you have what it takes then you can always enter in one of the many tournaments that are constantly being organised at the Emirates Golf Club. Emirates Golf Club remains open for seven days a week, and its operational hours are between 7 am to 1:30 pm. In order to visit Emirates Golf Club, you have to head towards Sheikh Zayed road near Regent International School, where you can easily locate your required destination.